Merleah was born on March 25, 2015, much to the delight of her two big sisters. Not long after, she had the joy of becoming a big sister herself when her little brother was born. In October of 2017, at just a little over 2 ½ years old, Merleah started complaining that her legs hurt. She also stopped gaining weight and didn’t seem to be growing. Her mother mentioned these concerns to the pediatrician at a baby wellness check-up. Her doctor ran a few blood tests and found that her white blood cell count was very low. Merleah and her mom were sent over to a specialist and more tests were run. Finally, a bone marrow biopsy was taken, and the results came back positive for cancer. 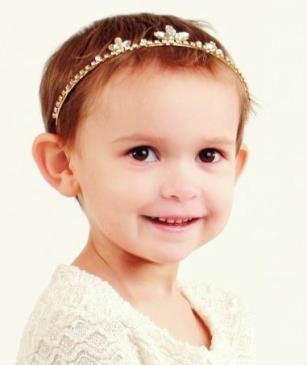 Little Merleah has a cancer called Acute Lymphoblastic Leukemia (ALL). This is an aggressive type of cancer that attacks the blood and bone marrow and destroys white blood cells. Time was of the essence, so Merleah and her father were flown by life-flight to Portland to start administering chemotherapy immediately. A PICC line was placed into Merleah and she received intense chemotherapy for five days. Her family was then released and able to return home. Despite this medical hardship, Merleah brings grace and joy to each situation. She is the big smile in the room that keeps everyone strong. Merleah loves rainbows, she is a huge fan of Queen Elsa, pink is her favorite color, and she love princesses. This little girl is all the personality and sweetness one could handle. Merleah will be adopted as a Sparrow to North Medford High School. Students at NMHS will work hard to raise money for Merleah through sponsored community service and fundraising projects.